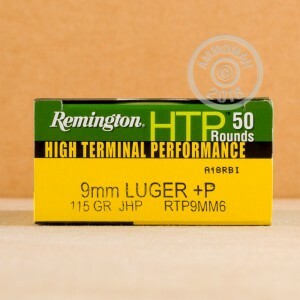 These 9mm +P rounds are from Remington's High Terminal Performance line of Self Defense Ammunition. 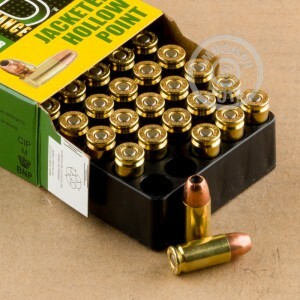 Each round is loaded with a 115 Grain JHP bullet, allowing for excellent expansion and weight retention. 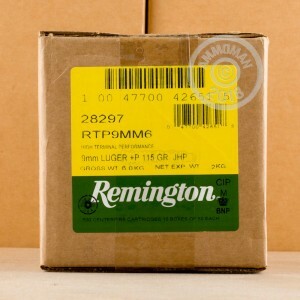 Pick up a case today, for all of your concealed carry or home defense needs.